This week is National Cupcake week so I have been busy baking. 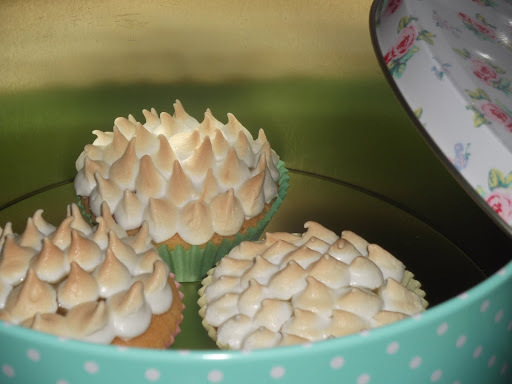 As a result of my efforts in the kitchen I’ve got an exciting new recipe to celebrate – Lemon Meringue Cupcakes! This recipe is inspired by one of my favourite desserts, the lemon meringue pie. In complete contrast to the popular dessert, these Lemon Meringue Cupcakes are cute and dainty, perfect to serve at tea parties for special guests. To come up with this recipe I started with my go-to traditional fairy cake recipe, I then used the same ingredients and processes set out in the lemon curd and meringue recipes from my lemon meringue pies, and I used the technique of hollowing the cake from my Gooseberry and Elderflower cakes. Sounds complicated? Don’t worry it’s not! 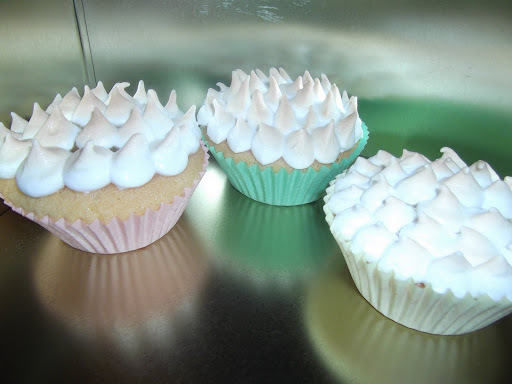 Just follow my step by step recipe and you too will have cute Lemon Meringue Cupcakes in no time. Cream together the butter and the sugar for the cakes in a large bowl. Gently beat the eggs before slowly adding them to the creamed butter and sugar mix. When fully combined, add in the flour, folding until fully incorporated. Spoon into cupcake cases (no more than 2/3 full) and bake in the centre of the oven for 15-20 minutes or until golden brown and springy to the touch. While the cakes are cooking, strain the egg for the curd through a sieve into a microwavable bowl. Add the just, zest, sugar and butter then zap in the microwave on medium power for a minute, stirring occasionally. Keep repeating this process until a thick curd has formed. Next, whisk up the egg whites for the meringue until they form stiff peaks. Slowly add the caster sugar a spoon at a time until the mixture is smooth and glossy. Once the cakes have cooled, using a sharp knife, create a hole in the top of the cake. Place the leftover cake pieces to one side. Fill the hole with the cooled lemon curd. Next, pipe little peaks of meringue on top of the cake and curd. To toast the tops, use a blow torch on high heat or place until a grill for 5 minutes or until the peaks are golden and crisp. 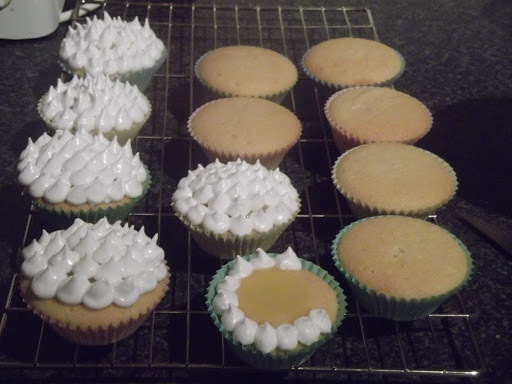 I love how these Lemon Meringue Cupcakes are not only unique because they are topped with a frosting that isn’t buttercream but also because you get the surprise zap of the zingy lemon curd as you bite into the middle! Do you have any exciting cupcake flavours you like to make? I’d love to hear in the comments below. They look delightful and I bet were delicious. I still haven't made lemon curd, but I made some delicious lime curd and then apricot curd earlier this year.